If you find Dash to be confusing and want to use a classic menu in Unity, you have at least two alternatives: Cardapio or a new ClassicMenu Indicator. 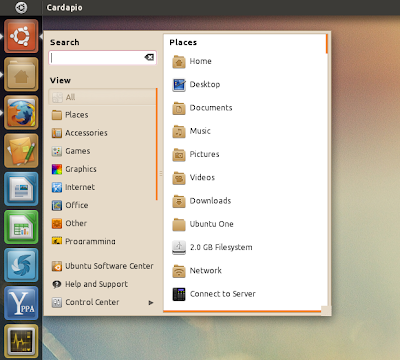 This is an AppIndicator (so it's displayed in the AppIndicator area) that behaves like a regular GNOME menu. 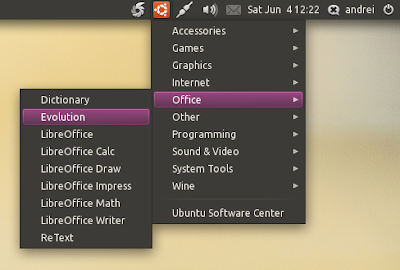 While the idea is great, there are a few annoyances: you can't move indicators in Ubuntu so you can't move the menu to the position you want on the panel and also, ClassicMenu AppIndicator doesn't display icons for the menu items. You can get it to display icons by using the commands posted here. Still, ClassicMenu Indicator is a great menu alternative for those who don't like Dash and I'm sure it will improve in the future (this is the first public release). Cardapio is a main menu alternative with quite a few cool features: it comes with Zeitgeist integration, includes plugins for performing inline searches of Files (via Tracker), Software Center, Google, Wikipedia, and much more. A long time ago, when Cardapio didn't have an Avant Window Navigator applet, we posted about adding Cardapio to AWN using a feature that displays Cardapio near your mouse using a command ("cardapio show-near-mouse"). Well, using the same command you can create an Unity panel launcher to run Cardapio, like you can see in the screenshot above. To make things easier, I've created the Unity launcher so all you have to do is download it and drag it to the Unity Launcher. So download the Cardapio launcher from HERE, extract it and place the file under ~/.local/share/applications/ (important: if you don't place it here, it will disappear once you restart your computer). ".local" is a hidden folder in your home directory so press CTRL + H to see it. Then drag the file to the Unity Launcher.